Though he makes several strong points, we're not sure we believe your brother's theory that McDonald's is a secret Mafia hotbed that goes all the way up to Ronald ("Why else do you think that rat Grimace has been missing for years?!"). These restos, on the other hand, have made headlines and entered gangster legend for their criminal associations. Some have merely served the dons food, while others have become full-blown murder scenes, but regardless, you should probably tip very well. This super-exclusive restaurant has seen bodies in suitcases turn up down the block, and was the infamous scene of the murder of Albert Circelli. Basically, a few days before Christmas in '03, Circelli was being super-rude and heckling Broadway actress Rena Strober's live Rao's performance of "Don't Rain on My Parade" (it's Streisand or NO ONE for this guy). Gangster Louis Barone told him to have some respect, Circelli didn't, and so Barone whipped out his .38 and shot the dude in the back. 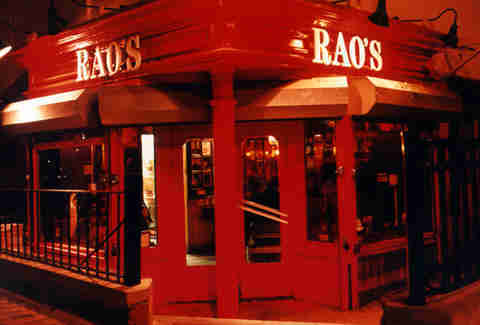 Barone went to jail, but Rao's is still happening, maybe, in part, thanks to super-late-to-the-game Goodfellas fans. Scorsese used the spot for inspiration, even featuring Rao's regular Johnny Roastbeef in the movie. Federal Hill is Providence's Little Italy, and way back in the Prohibition Era, it was the place to be if you definitely didn't want anything to do with Prohibition. 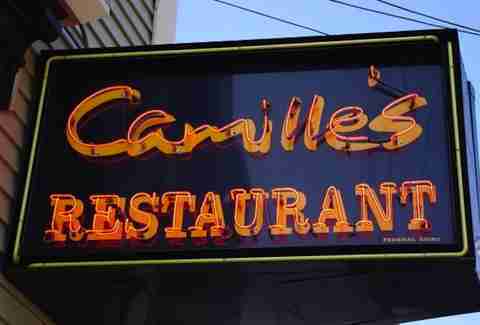 Camille's, at the time, was originally called Marconi's Roman Garden, and was sort of a non-speakeasy, in that they kind of blatantly served up booze, and paid off Prohibition agents to keep it that way. But what makes it a current member of this list is the fact that it was the favorite haunt of New England mob legend Raymond L.S. Patriarca, who "worked" out of a nearby Atwells Ave vending machine company (SPOILER ALERT: "worked" is in quotations because he was a mobster). In 1989, William "The Wild Man" Grasso, at the time the most powerful mobster in CT and an underboss in the Patriarca crime family, was killed and dumped in the Connecticut River. 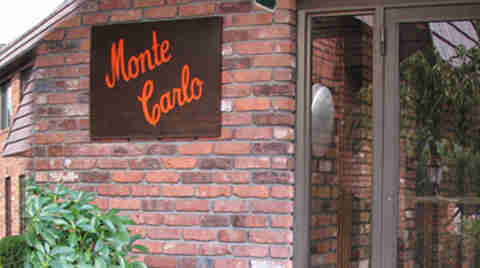 Four men were convicted of conspiracy to commit murder, including Frank and Louie "Louie Pugs" Pugliano, whose family has owned and operated the Monte Carlo since 1934. These are all just facts. Also a fact: they have a fantastic Ziti Monte Carlo. Seriously, it's got ricotta, sausage & peppers, and it's glorious. So if you go there, get that. And maybe don't mention the other stuff. 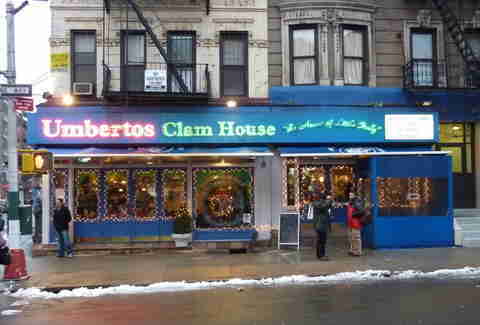 Naturally located in Little Italy, Umberto's is best known as the spot where gangster "Crazy Joe" Gallo was murdered in the middle of his birthday party (you may know Gallo from the Bob Dylan tribute song "Joey", which is somehow even longer than "Hurricane"). Crazy Joe was dining late at Umberto's in 1972 with his sister, his wife of just three weeks, his 10yr-old stepdaughter, his bodyguard, and his bodyguard's date (? ), when a bunch of hitmen burst in and shot the birthday boy right at the table. To make the whole thing even more bizarre, apparently Gallo had partied with his friend Jerry "Junkyard Dog" Orbach earlier that night. This former speakeasy was an Al Capone favorite with underground tunnels for escape, but its connection to Capone soldier "Machine Gun" Jack McGurn -- a probable gunman in the Valentine's Day Massacre -- is way crazier. 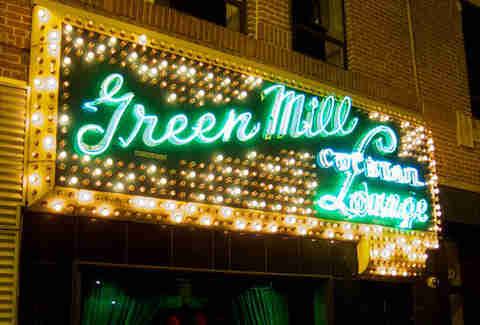 McGurn owned a piece of the lounge back in the Prohibition days, and scored some prime live entertainment when he signed comedian Joe E. Lewis. But Lewis was, like, super-popular, and another club run by a rival gang persuaded the guy to switch venues. McGurn was livid, so he sent his crew to Lewis's hotel room, where they slit his throat and left him for dead. Lewis miraculously survived, but it took him years to learn to speak again. Which is why you never piss off a guy with MACHINE GUN in his name. 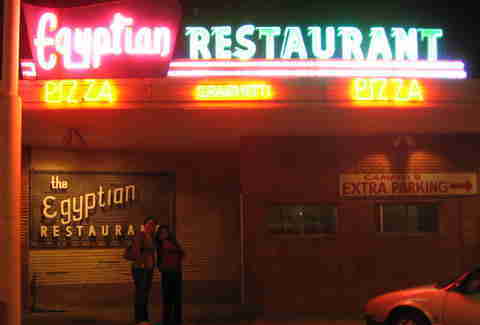 Deceptively neither Egyptian (it's Italian) nor a lounge (it's a restaurant), Campisi's has been part of mobster lore since its 1946 debut. Here's what we know to be true: Joe Campisi was buddies with Mafia boss Carlos Marcellos. Gangsters did hang out there. 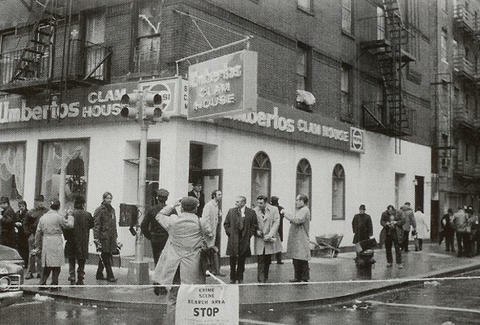 Lee Harvey Oswald killer Jack Ruby ate at Campisi's the night before the Kennedy assassination. But a lot of people (including the government) totally believe the Campisis were criminals, too. At one point, customers couldn't walk through the door without getting photographed by the FBI. And Joe? Dude was on DEA files. His grandson David runs the place now, and plays off the rumors with decorative severed fingers framed newspaper clippings on the walls. This resto got a lot of press in 2009 when ex-con Anthony "Fat Tony" Rabito was banned from it on condition of his parole, since the Mafia was hustlin' there 24/7. But Fat Tony is just the beginning. 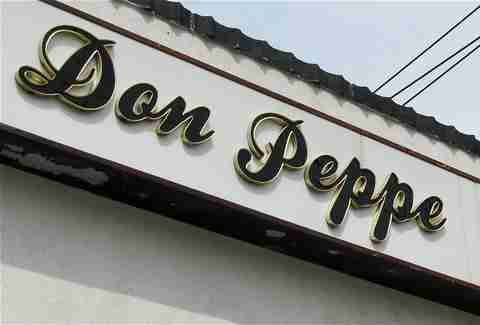 One of the more sensational Don Peppe rumors claims that mob boss Ciro Perrone got so irate at a waiter who spilled a drink on his wife that he had his crew, including famous snitch Henry Hill, wait with lead pipes and baseball bats for the staff to leave at the end of the night. That same Perrone was caught disrespecting Growing Up Gotti over a Don Peppe meal by the Feds' wiretaps, so clearly, that guy fears nothing. On June 2, 1978, FBI agents tapped the Villa Capri in hopes of hearing some stuff about a mob shooting at the Virginian Tavern a month earlier from Cork Civella and Carl DeLuna, two KC mobsters. But instead, they ended up hearing about "the Genius", the Teamsters, the Chicago mob, and a plan to skim cash off of Vegas casinos (made famous by Scorsese with the movie Casino), which resulted in Operation Strawman, and RICO trials that put top men from four major families in Chicago, Milwaukee, Cleveland, and KC behind bars. So, yeah, the Villa Capri might've had something to do with the mob. 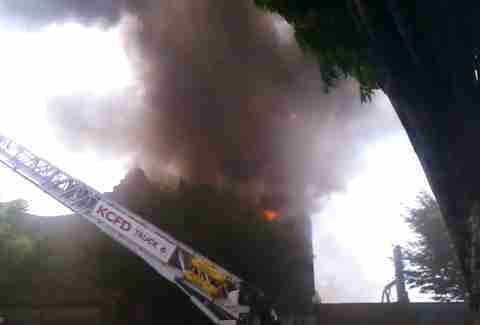 Anyway, this one has since been demolished (here it is on fire), but another Villa Capri survives, and, according to Yelp, "some of you wanted updating done. So, don't come back! The place is small and I like the space provided by the missing whiners."